Original post appeared on LinkedIn September 18, 2017. Photo credit: Josh Bis on Flickr. People frequently ask me the meaning behind the name “Anavah Consulting,” and I address this question here because the answer reveals my approach to business. I found the word “Anavah” while reading one evening and, after researching its meaning, I knew I’d discovered the perfect name for my consulting business. This description inspired me: “[Anavah] is commonly associated with one’s ability to replace their pride with an openness to learn a little something from everyone – a person who practices anavah practices the art of humbling themselves into the realization that all people of all traditions, cultures, and social statuses have something to teach.” I refer to Anavah as “the sweet spot between strength and humility.” I believe that for organizations, businesses and individuals to grow, they need a little of both. Change can be a daunting prospect for many businesses and organizations, and that is one reason I’m so passionate about helping others develop strategies that are adaptable and customer-centric. One of my greatest strengths is in studying a challenge, identifying the main problems, and then helping devise a solution. 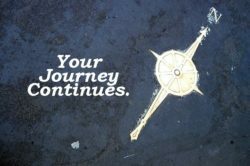 When your company is traveling through uncharted territory, I can help steer you toward your desired destination. Humility gives us room to grow and acknowledges that others are necessary for true success. In business, we must pay attention to our customers and learn their needs so we can provide appropriate and compelling solutions. In agencies and organizations, while the terms used are “members” or “stakeholders,” they require the same care as customers. Everyone relies on staff to carry out missions and to treat the customer with the utmost care to keep them coming back. No one can be an expert on everything, but we all can work together for a common good. My business wasn’t inspired by a single person, place or thing; instead, all my experiences throughout my professional journey have merged in one place. Growing up a farmer, studying biology and then becoming a wildlife specialist, I learned about animals and land. While traveling as an exchange student, working odd jobs as a young adult, and working within the archery industry for 14 years, I learned about people and business. My work and life have been lessons in adaptation and change. I’ve started many projects from scratch, a process that has been downright scary at times. However frightening it might be to take on new challenges, the process of forming ideas and solving problems is incredibly satisfying. There is nothing I enjoy more than learning about someone who took an idea or suggestion, implemented it, and achieved success. Often these success stories spark an idea I hadn’t thought of before and off I go, studying and heading for a new adventure in learning. My story isn’t over and neither is yours. Is your company or organization ready to continue its journey? I stand ready to help determine where you want to go and walk with you step by step until you get there. So, what does Anavah Consulting LLC do exactly? I founded Anavah Consulting LLC to guide other businesses and organizations through their evolutionary process. It’s easy to get stuck in a rut. If you don’t set long-term goals, you won’t have an important compass – that is your plan – to direct you. Develop and facilitate strategies – I have experience developing strategies for several programs and am familiar with the struggles businesses and organizations face in thinking about the future. Often, lack of participation and support from the right people causes ideas to fail. Because I believe plans are a process rather than an endpoint, I work to promote solutions that are executable, adaptable and customer-centered. Assess, research and evaluate customer experiences – I’ve spent most of my career developing assessments, surveys and other evaluations for every program I’ve been involved in, plus other departments and programs. I’ve also conducted national and international surveys, and have learned the importance of asking questions that provide feedback for a meaningful change instead of just validating existing ideas. My customer experience work involves digital and physical evaluations, customer persona development and journey mapping. Who should consider my services? Outdoor industry: Collaborating with businesses and organizations in the outdoor industry is a way for me to unite my passion for nature and humans. I’ve worked with several industries including helping an adventure app reach more customers. Consider my services if you are any company interested in growing your base of customers that appreciate the outdoors. Small, main-street business: Working with small businesses allows me to help keep small towns thriving. I grew up in a community in west-central Minnesota and am saddened by generational businesses closing due to threats from the online marketplace. If you know you must adapt your small business, but don’t know where to start, get in touch with me. I look forward to working with you to design your next adventure. Contact me at anavahconsulting@gmail.com or 612.209.1484. Original photo can be found here.